Dear all, thank you for your participation, and for your contribution to the conference. 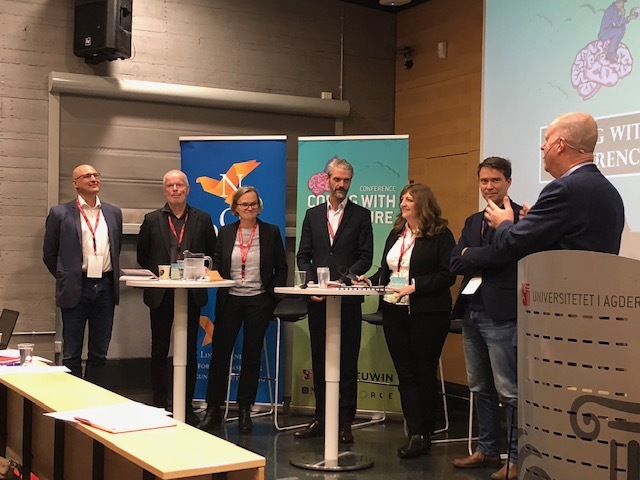 The intention of the conference was to address the challenges for business and work, in the perspective of a potential systemic shift towards digitalisation and sustainability. The conference did not conclude whether we are entering a new stage in industrial development, or simply enforcing trends that are already on the way. Still, I think that the event was successful, and met the expectations we had, in addition to giving new thoughts and ideas. It should be a good platform for further co-operation. Some key figures: more than 100 persons attended the conference; a core group attended all three days. Some nine key notes were delivered, and some twenty papers were discussed in six session. There were several discussion sessions and two panel discussions. Researchers from several European countries as well as from the USA and South America, contributed to an international dialogue. Special issues of the three journals represented at the conference will be published. Even though the conference did not reach conclusions or point at specifically tracks forward for the development of business and work, it did something that is not often seen in academic conferences: it brought together both practitioners and cases from practice in the form of business and policy, and from research. It also linked the theory/practice decision to methodological and philosophical considerations. In the future this spectrum of considerations should be part of the debate in work life research. Also, the diversity of presentations and topics addressed in the papers and key notes could be a model for future events of this kind. 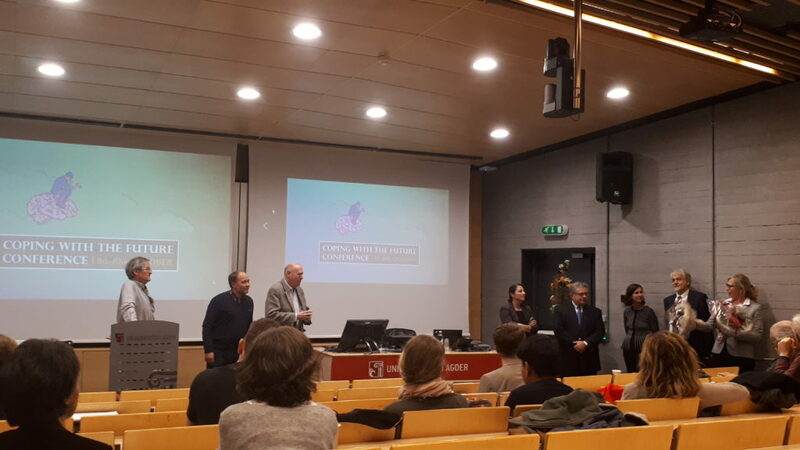 Partly included in the conference was a very interesting PhD defence by Carla Assuad, where the topic was the concept of rationality in relation to sustainability. 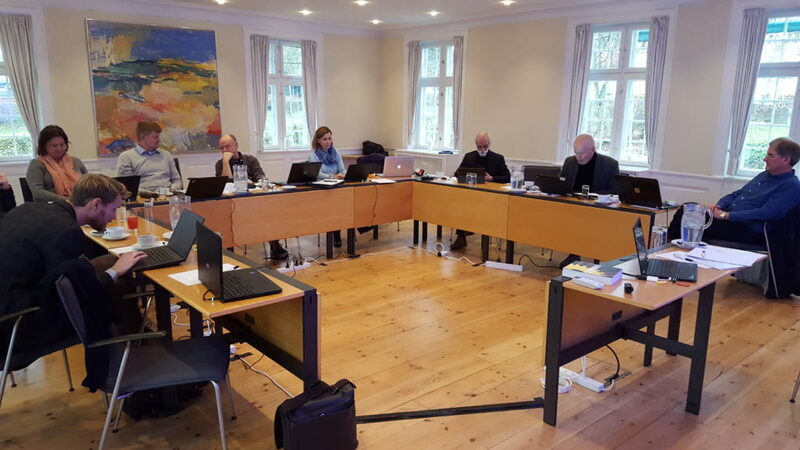 It paralleled the discussion by Olav Eikeland and others in the Acton Research discussion on forms of knowledge. Work life research is under pressure to provide reliable and valid knowledge, and qualitative research in general is under pressure in the current academic and social/political climate. This calls for qualitative work life research that is based on a solid methodological foundation, and thereby one that addresses some of its inherent epistemological challenges. These three aspects of research: the dialogue between research and practice, the diversity of methodological and theoretical approaches, and the continuous awareness of the epistemological and philosophical underpinnings in the research process, are important dimensions to take forward in the further development both of AR and Workplace Innovation. In addition, one could argue that the presentation by Emil Sobottka reminds us of the fact that research, including business research, happens within a social and political setting, with ideological dimensions that we should have a conscious relation to, not least in the perspective of sustainability. Even though these are not as much in conflict in European business development as in other parts of the world, there is conflict there, and this should be a concern for us. 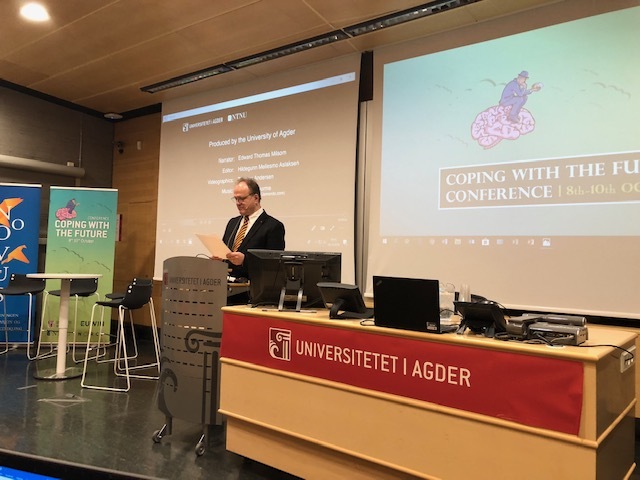 The key notes of Einar Duengen Bøhn and John Hurley, as well as the opening welcome address by the UoA rector Frank Reichert, emphasised the future, and a systemic dimension of the issues we discussed. I should like to thank all participants for their interesting and engaged contribution, and the organising committee for good and constructive collaboration. 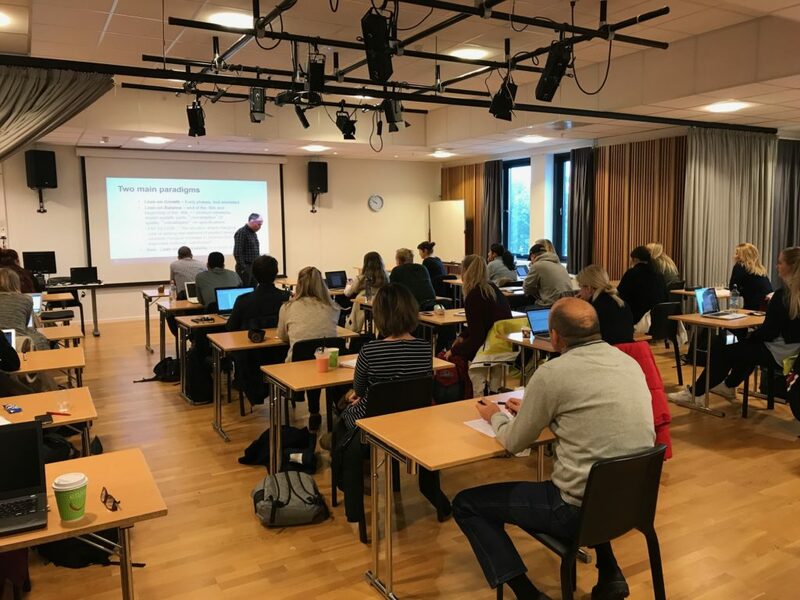 Dette innlegget ble skrevet i Workshops/Seminars, 20. oktober 2018 av erikaabyholm. This week the Master program in innovation and knowledge development, at School of Business and law have been visited by a group of students from Kingston Business School, London headed by Lecturer, Dr. Pauline Olivia Parker. 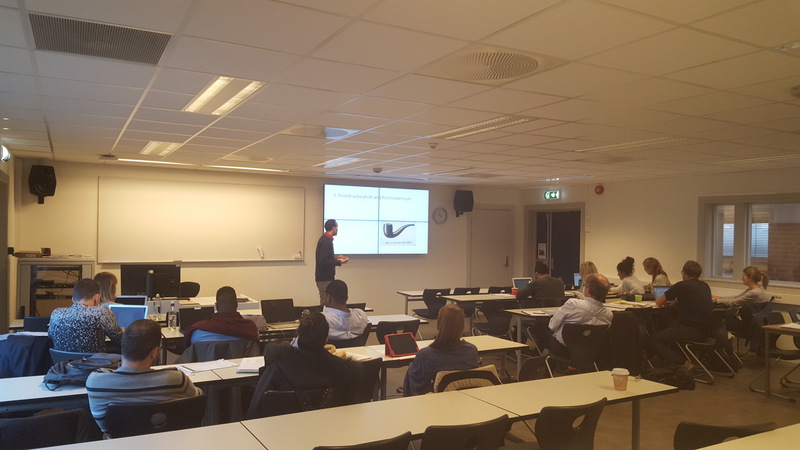 Together with the Norwegian master students they have attended lectures and visited businesses. 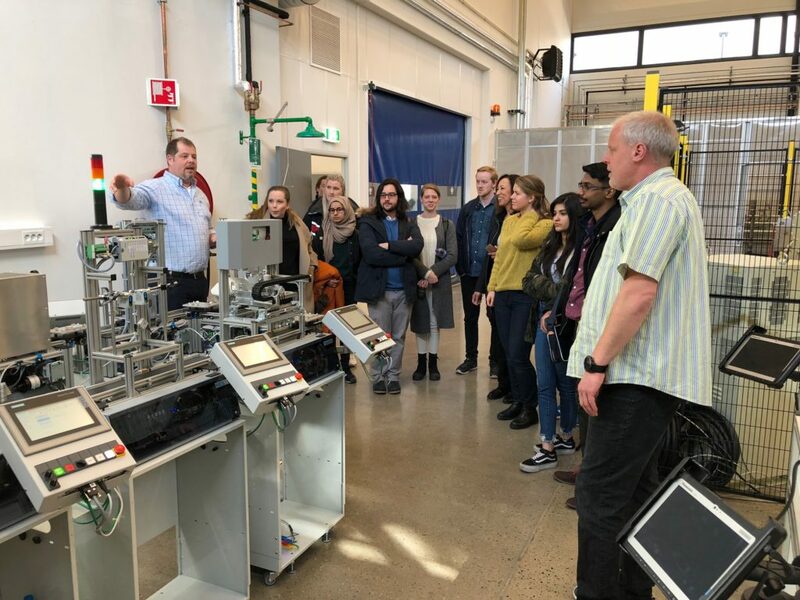 The students have visited the MIL lab and been introduced to Industry 4.0 by the leader of the MIL lab Bernt Inge Øhrn. The group also attended the Eyde symposium om Industrial Symbiosis organised by Christophe F. Pinck, responsible for international relations in the Eyde Cluster. 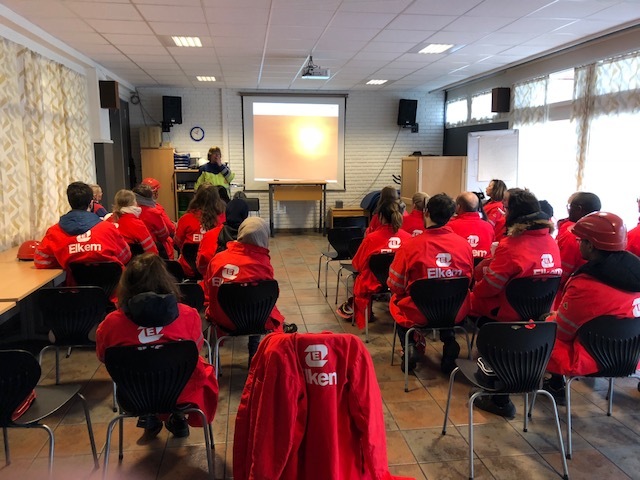 Finally, the students were received by REC Solar (formerly Elkem Solar) and the Production manager Jorunn Gislefoss and HR manager Eirin Vige Fidje, and give a presentation of the strategy of REC Solar, and a tour through the production facilities in Kristiansand. 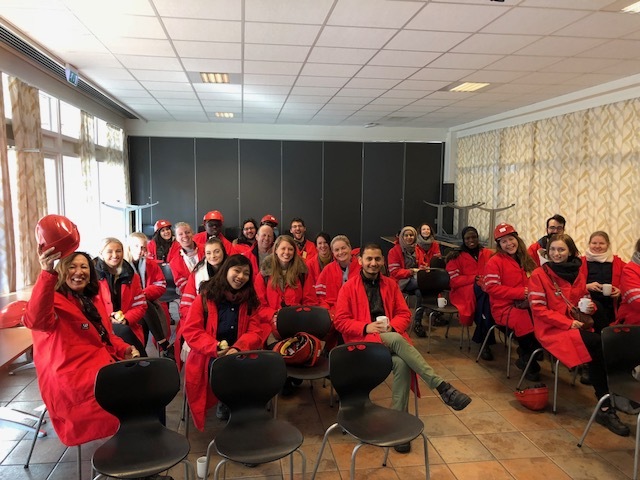 Dette innlegget ble skrevet i Industri corp. and field trips, Master/PhD, What's going on?, 14. april 2018 av erikaabyholm. Tirsdag 10. oktober var studenter med Innovasjon og kunnskapsutvikling og Indøk på besøk hos Eyde for få inspirasjon om fremtidens industri. Det var en spennende program som engasjerte studentene. Dette innlegget ble skrevet i Industri corp. and field trips, Ukategorisert, Workshops/Seminars, 19. oktober 2017 av erikaabyholm. 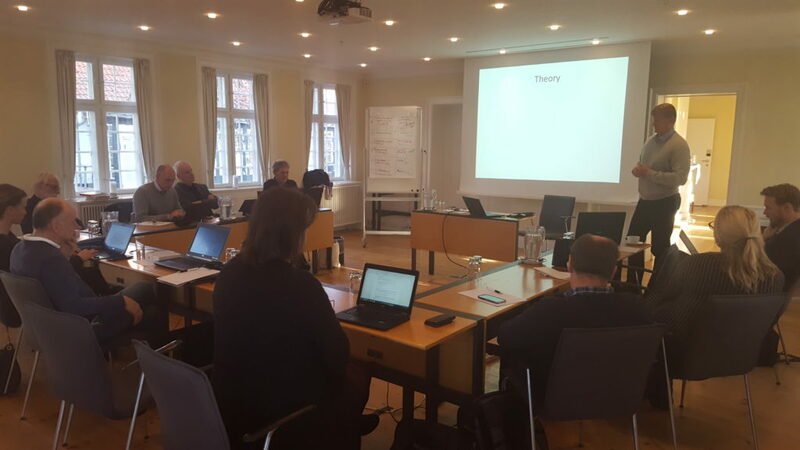 PhD seminar on work life development and research, December 5 – 7 2016, at Schæffergården, Copenhagen, in cooperation between university of Agder and NTNU. The participants agreed on cooperating on a book addressing the challenges we are facing in worklife. Dette innlegget ble skrevet i News, What's going on?, 14. desember 2016 av erikaabyholm. Visit by master students from Kingston Business School, in week 44, 2016. They were accompanied by lecture Charles Berthold, and professor Richard Ennals. 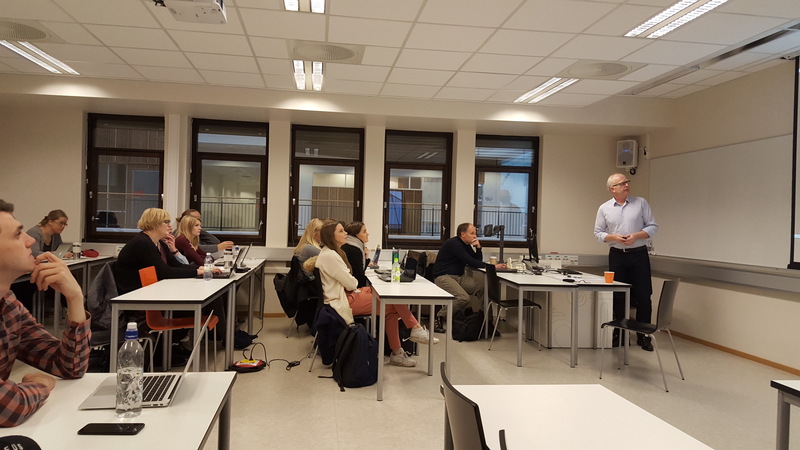 Seminar on Lean and sustainability on November 3 and 4 for master students of innovation and knowledge development in cooperation between University of Agder and Eyde Cluster. The seminar was also attended by master students from Kingston Business School. 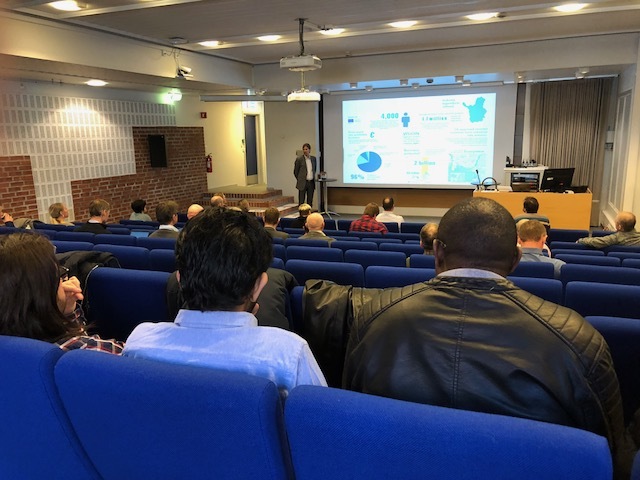 Gunnar Kulia from the Eyde Cluster gave an introduction to the seminar. The students followed the teaching of Master in Innovation and Knowledge Development. 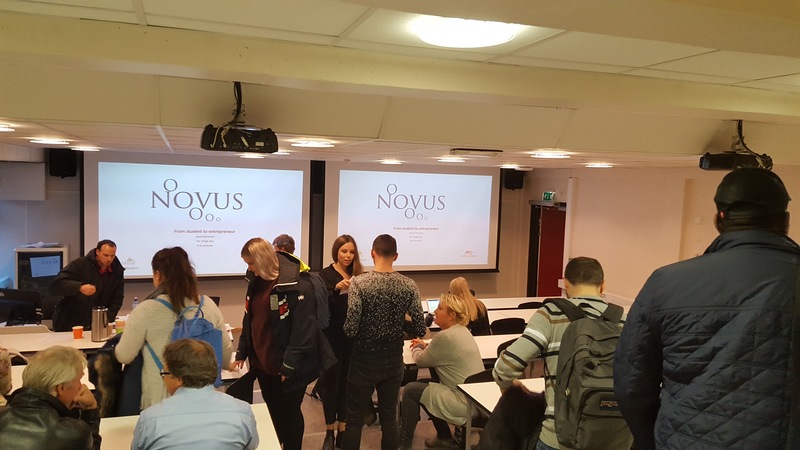 The students organization NOVUS hosted a special workshop on entrepreneurship. Dette innlegget ble skrevet i Activities, Industri corp. and field trips, Master/PhD, News, Workshops/Seminars, 16. november 2016 av erikaabyholm.